Relationships in business are the biggest area of strain. Focus on getting the right people doing the right things, with clear accountabilities and structures, then you can move forward. A dysfunctional team is one where people bring emotion to the table or to decision making. This emotion needs to be turned to betterment. When entire teams understand this, innovation and perspective naturally follow when decisions need to be made. 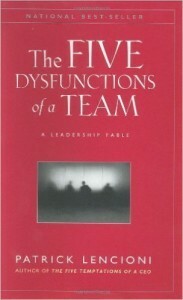 The causes of dysfunction are both identifiable and curable and I recommend this book as one to pass around the team. The book is presented as a fable and is very easy to read. 1. Most people in organizations are underutilized. 2. All capability can be leveraged with the right kind of leadership. Are you a multiplier or a diminisher? What about the people that work for you? Businesses invariably has diminishers in the team, often they are not even aware they are displaying this behaviour. Left, a diminisher can destroy the confidence of a team. This book is an easy read and essential for anyone who relies on people in their business. It will help leaders unleash smarts and capability in others by inspiring employees to stretch themselves to deliver results that surpass expectations. 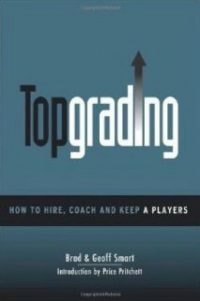 Topgrading is a proven methodology for hiring and promoting people for coaching and keeping top talent in your business. This is an essential book if you want to understand how you can employ fewer people, pay them more yet maintain a lower total wage cost. This book provides the processes and the thinking to help you build a team of A players. Which in turn helps you to outperform your competitors in revenue, reducing your total wage cost, increasing your net profit and lowering your staff turnover. 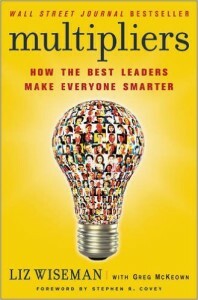 People who read this book have less trouble finding good people and will employ people they truly want to work with. 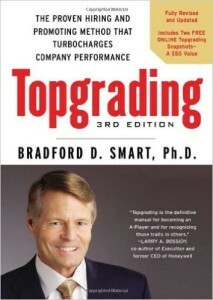 Bradford D. Smart has also produced the “Topgrading Handbook” that highlights the essential elements for building a team of A players. It’s a quick and easy read if you don’t have time to read the full book and will give you great insights into his proven hiring and promoting method. 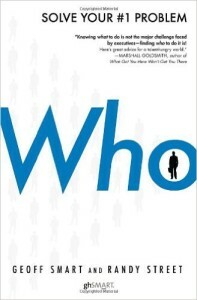 Who should read this book: Anyone wanting to create and build a strong company culture. 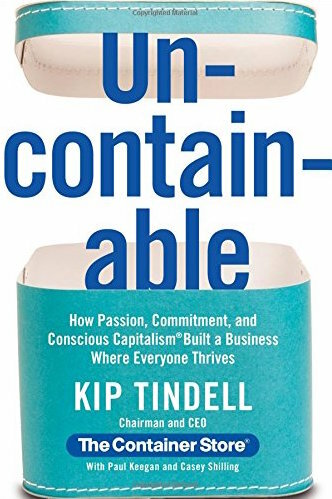 Uncontainable is by the founders of The Container Store (USA). This is one of America’s most wanted to work for companies, year after year. The Container Store has grown at 25% per annum compounding for more than 30 consecutive years. Uncontainable gives insights into the people side of the business, which is something that many companies do not get right. It shows how The Container Store thinks regarding their employees and hiring, and how the company thinks about and treats its customers. It also gives insights into how the people add to The Container Store’s competitive advantage as a company. Uncontainable is an easy, compelling read, and a very well written book. Who should read this book: Any business serious about growth. Highly recommended for companies with $1M+ turnover, and a stable customer base to leverage off. This book should be your GPS for company performance. Use it to drive organic growth in your business by creating ‘good profits’, that is, profits derived from enriching the lives of your customers. 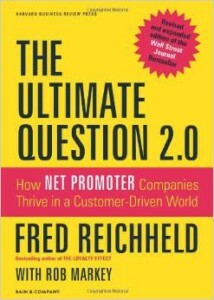 The Ultimate Question 2.0 defines the concept of the Net Promoter Score and explains its connection to your company’s growth and success. It looks at the closed-loop feedback process and demonstrates the power it has to energise employees and delight customers. This is a powerful book and a must read if you are serious about growth. It’s a powerful book that can and does foster positive results. When businesses get the concepts in this book right – I personally have seen them achieve organic growth of 10-15% each year. Great book and I highly recommend you read this after Topgrading. Who is a simple, practical, and effective solution to avoiding unsuccessful hiring. It will help you discover who you need in your business and why. It’s very practical, with relevant, actionable details, sprinkled with anecdotes about successful and unsuccessful recruiting experiences. Are you serious about growth? Let’s talk! New Zealand is driven by innovative and inspiring businesses – are you one of them? As a business growth consultancy, we help companies achieve global success. If you are serious about business growth – get in touch and let’s see how we can move your business forward.